After competing at the National Sandee Championships, Anya picked up another belt as a result of her efforts. 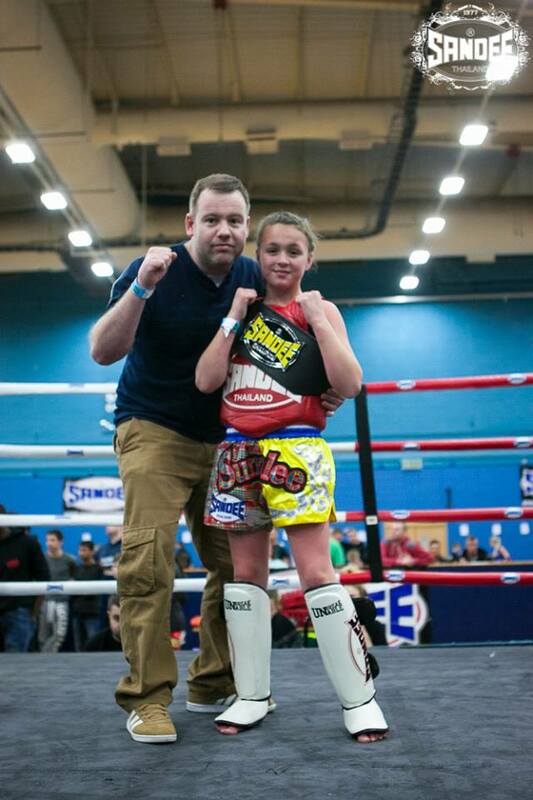 She entered the Northern Area Championships in Manchester and after winning her fight and position as Northern Area champion, she then went on to compete in the Finals in Stoke on Trent where the Northern Winners took on the Southern champions. Anya picked up the win at the Grand Finals to become Sandee British Chmapion, what makes her achievement even more impressive is the fact she was also short listed to the last five for best technical performance out of hundreds of fighters which put her in the running to win an all expenses trip to Thailand to train for a month at Sumalee Boxing Gym. Although she didnt win the prize, the fact she was noticed and stood out speaks volumes. Anya has already won the WKA British Championships the previous year. If you’re interested in our services or classes and would like to stay up to date with any offers or new classes that we may offer, then fill out your email address below and we’ll keep in touch.